Drum :- Diameter 24" Height 24 "
The Sowbaghya turns to be the queen of your kitchen and its smart look simply blends with your interiors. Its capacity of 40 litres is just perfect to meet all the needs of a compact family. 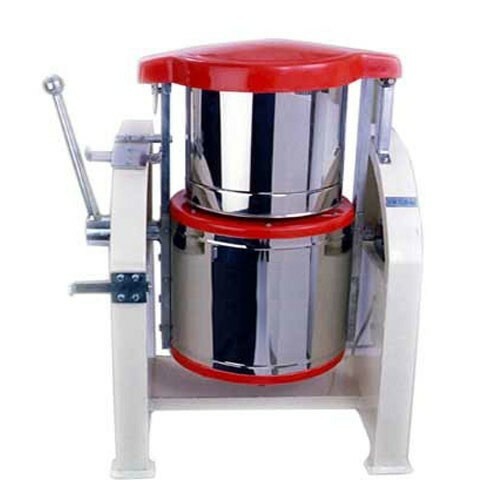 It is equipped with powerful 3 HP motor and patented cylindrical stones for professional grinding and prepares your favourite idly batter and dosa batter to perfect consistency. With the help of this wet grinder, you can attain the perfect touch to prepare some yummy dishes for your family. Its shock proof design ensure safety. The drum of this table top wet grinder is made from food grade stainless steel that makes it a rust resistant appliance and boosts the grinder's performance and life. Batter cleaner makes it easy for you to clean the cylindrical stones for hygienic grinding. 2 S.S Drum Diameter 24" Height 24 "